Our woven grilles are available in a multitude of sizes and finishes to suit your interior. 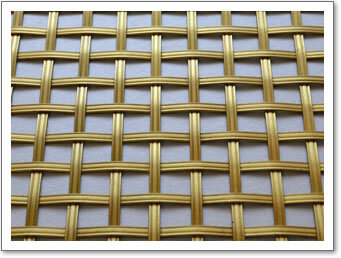 Brass Tacks offer a bespoke woven grille service. For more information call 0208 866 8664. 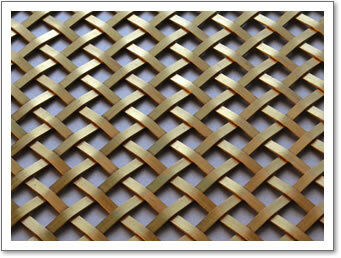 Woven Grilles (lattice) can be made in either brass or stainless steel as a diamond or square pattern. The wire can be 3mm or 5mm wide, plain or reeded design with a number of aperture (hole sizes) varying from 6mm to 25mm. 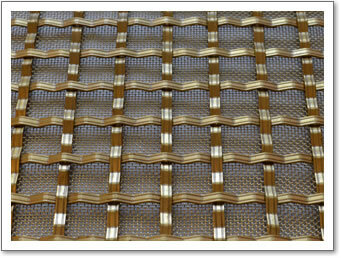 All woven grilles can be supplied with a backing mesh if required. A number of different finishes are available and all grilles can be fitted into a frame. 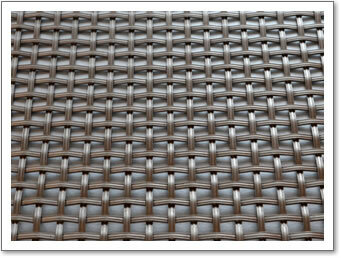 Below is a selection of woven grilles available, a comprehensive product code list is shown at the foot of this page. 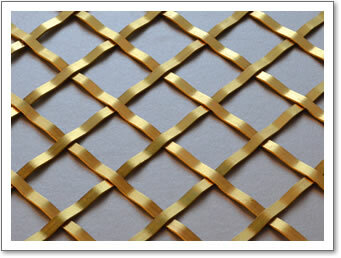 5mm plain woven brass grille with 10mm diamonds. 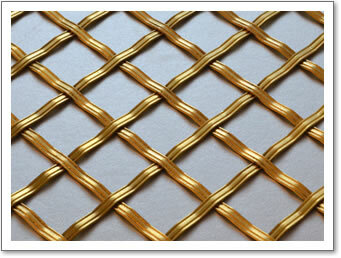 5mm plain woven brass grille with 25mm diamonds. 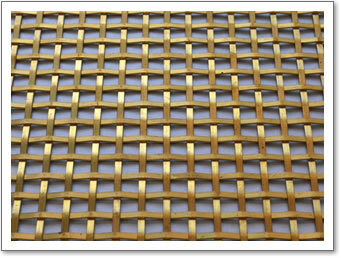 5mm plain woven brass grille with 13mm squares. 5mm reeded woven brass grille with 10mm diamonds. 5mm reeded woven brass grille with 13mm squares. 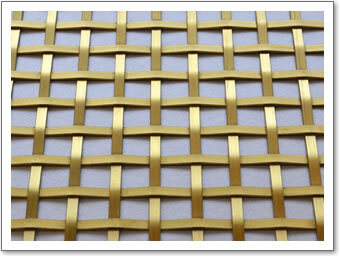 3mm reeded woven brass grille with 8mm squares. 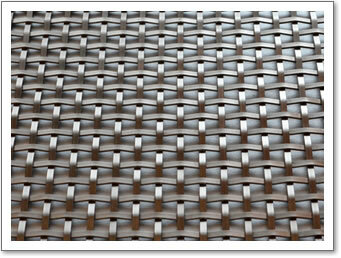 3mm plain woven stainless steel grille with 6mm squares. 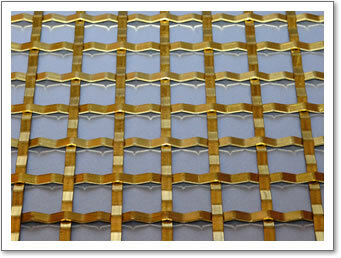 5mm plain woven brass grille with 19mm squares. 5mm reeded woven brass grille with 25mm diamonds. 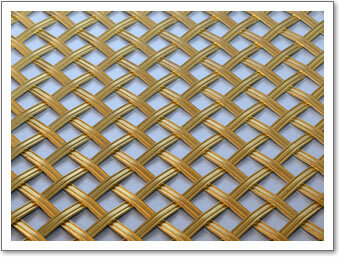 3mm plain woven brass grille with 8mm squares. 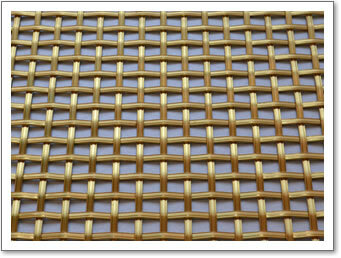 Woven grilles are available in the following aperture (hole sizes) 6mm, 8mm, 10mm, 13mm, 19mm, and 25mm. Please add aperture size to the end of the product code, for example 24 210 13.